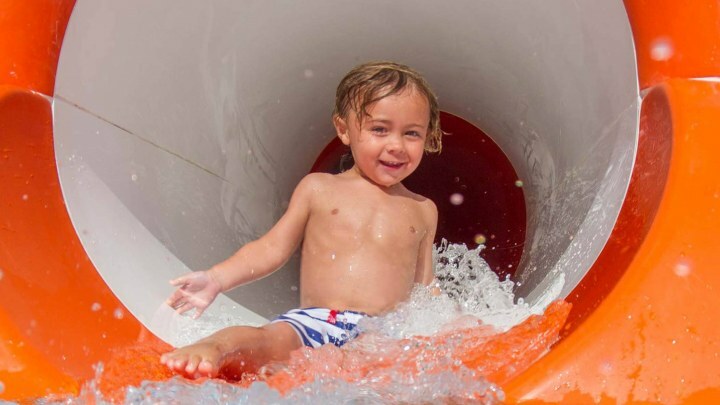 Take a refreshing spin on this enclosed water slide with a splash-tastic loop! I tugged his float along through the tiny waves on the Currituck Sound. He giggled and trailed his hand through the water, sending up a small ripple of wake. Close to shore, we passed under a neighbor's high dock. "A tunnel!" he cried. When we came out on the other side, gulls wheeled overhead. Some swooped down on the grass, pecking for food. I pulled the float in a little loop, gently spinning him through the water. "Do it again, please!" he shouted. "I'm a seagull, too!" 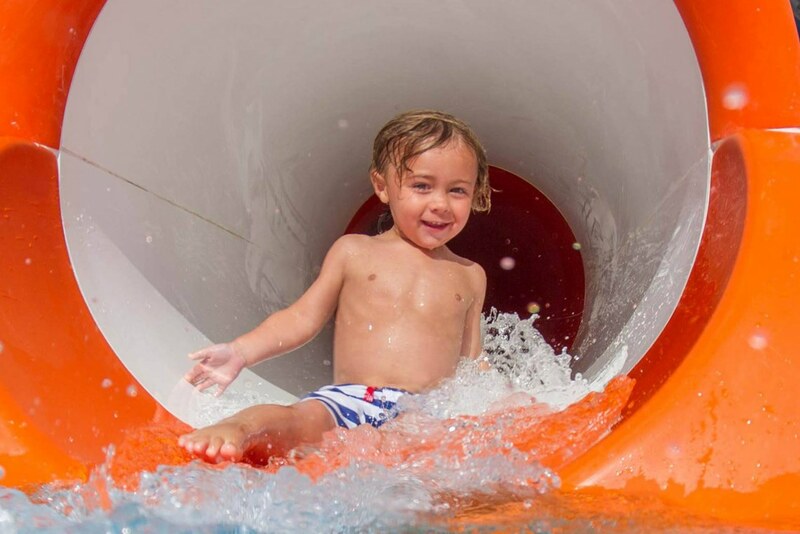 We splashed our way through a gorgeous morning.